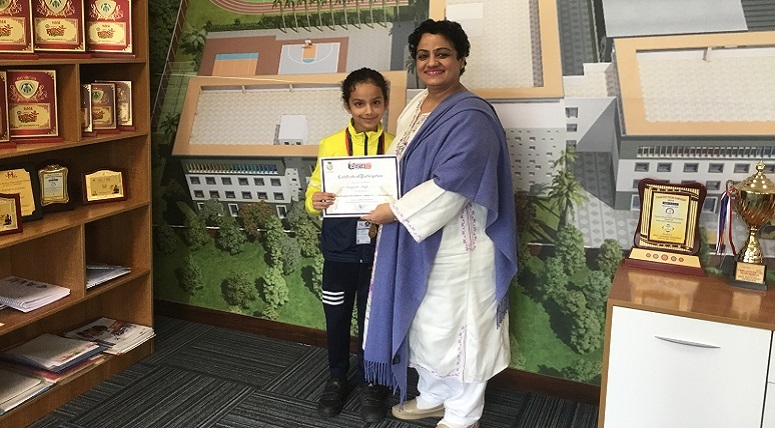 Hridyanshi Singh of MRIS Mohali (Grade-II Everest) brought laurels by securing First Runner up position in ‘Aap ki Awaaz’. She was live on Desh Bhagat Radio 107.8 FM ‘Aap ki Awaaz’ recently. The program run live with the theme- ‘Mera Bharat Meri Kalam Se’- Season 5 and was quite inspiring. 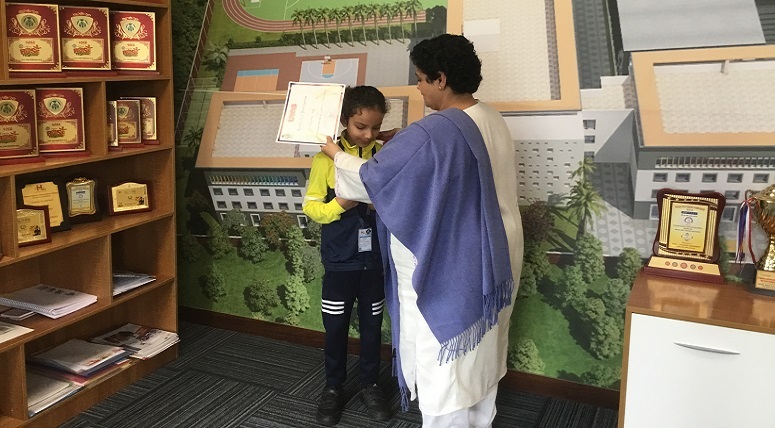 She was awarded a medal and a certificate, and was appreciated by the school Principal Ms. Taruna Vashisht.